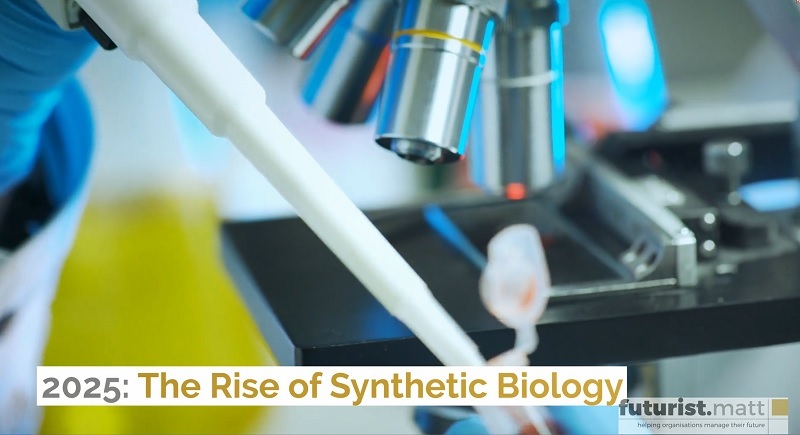 Synthetic biology involves the engineering and design of biological systems with a practical purpose in mind. Another way of describing it is the creation of biological machinery. To accomplish it successfully, it requires a multidisciplinary and integrative approach. This includes the disciplines of biology, computer science, engineering, genetics and medicine. Much of it is an extension of genetic manipulation and engineering that focuses on the DNA molecule to achieve more complex systems; single cell organisms, algae, bacteria and fungi for example. Probably the best-known example in popular culture is the fictional character ‘Frankenstein’s monster’ from Mary Shelley’s ‘Frankenstein’ novel and subsequent films, in which biological materials are engineered and altered for human (and in Shelley’s case, horrific!) ends. In today's reality, a more practical example is designing bacteria that remove air pollution. The vision today is that we have already achieved remarkable things with inorganic materials: can we garner exponential value – and perhaps work in greater harmony with our planet – from organic materials? Why do we need Synthetic Biology anyway? By 2025, the UN forecasts global population levels to rise from 7.3bn today to 8.1bn. Around 2050, that number's expected to reach 9.7bn. Putting the increase in perspective, that's the equivalent of adding both the entire populations of India and China to the planet. When combined with finite extractable resources and the resulting environmental consequences from their disposal, a new approach to sustainable materials is required. 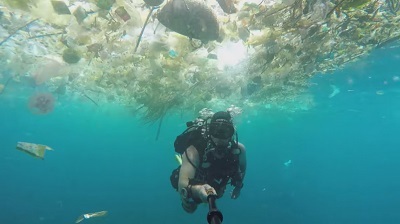 Plastics are a critical material in the everyday objects used by people across the world. They're not going away anytime soon. Indeed the International Energy Agency recently forecast increased demand for petrochemicals used in plastics manufacture to rise from current levels of 12 million to 18 million barrels per day by 2050. Conventional plastics can take over 400 years to degrade and only 9% of waste is actually recycled. Each year, around 9 million tons of plastic waste find their way into the world's oceans. Not only does it damage fragile ecosystems, especially around the coastlines of developing countries, but causes significant harm to those creatures dependent on the sea for their survival. There's also the financial cost of current food production. Two to five times more grain is required to produce the same amount of calories through livestock as through direct grain consumption itself. 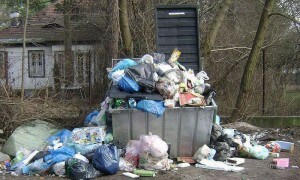 Why is recycling existing materials so expensive? 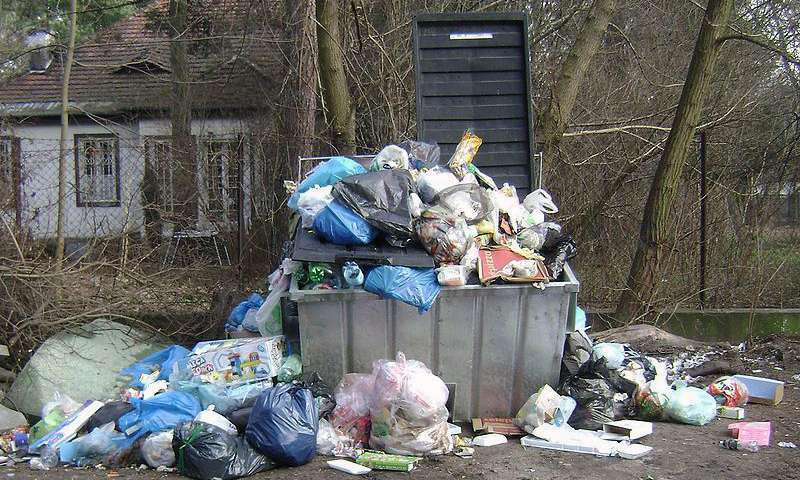 The major challenge around recycling is the sorting of materials. Not only is it incredibly labour intensive, recycling factories can't easily handle 'contaminated materials'. A good example is a card-based milk carton with a plastic lid: even a tiny amount of contamination between materials can render an entire batch useless. China is the largest importer of recycled materials and has imposed stricter contamination standards. Whether paper or plastics, it now insists on a contamination level below 0.5%. Perhaps Artificial Intelligence will come to the rescue? One solution being touted is 'AI dumpster diving', whereby a robot sorts through your recyclable materials more efficiently. 'Clarke the Robot' has been programmed to recognise logos and packaging printing to sort through our waste at 'superhuman speed'. My view is that we should encourage the industrialisation of recycling, just as our historical consumption habits have encouraged the mass production of goods. Could the day arrive where we see robots picking litter on our beaches and streets? I hope so! No doubt Germany and Sweden could lead the way here. Where could Synthetic Biology impact our everyday lives? The market for 'Biobased' chemicals is set to grow. In 2008, the US Department for Agriculture forecast a rise from 8% to 22% proportion of the US chemical market by 2025. Government investment across the world into 'Synbio' is also strong. Roadmaps and reports have already been developed in US, UK, EU, China, Singapore and Finland. Synbio aims to produce cheaper and more widely available treatments alongside developing new cures for previously untreatable diseases. How about Cancer treatment without immunotherapy? Or Diabetes sufferers controlling their insulin levels from a smartphone app without requiring manual injections? We could reduce Malaria, especially in developing countries by producing Artemisinin (a highly effective treatment, but expensive to extract) from Yeast. A step towards 3D printing of body parts is the use of synthetic human tissue to 'mobilise nearby natural cells into complex structures.' The potential of this development for organ replacement and reconstructive surgery is massive! Bioplastics (plastics created from organically grown materials) have been around since the 1970s. They're already currently used in disposable items like packaging, containers, straws, bags and bottles, and in non-disposable carpet, plastic piping, phone casings, 3D printing, car insulation and medical implants. The challenge however, is that they only represent 1% of the world's plastics supply right now. 'If you were to look at the land required to satisfy all the demand for plastic, it would only use 10 per cent of agricultural land and if you consider the potential to use sidestream or by-products from the food industry, this issue doesn’t arise' says Professor Kevin O'Connor. That still equates to the combined landmass of Belgium, Netherlands and Denmark. One alternative to crop-based bioplastics is the SYNPOL project. It aims to turn household waste into bioplastics. One step on, a team from the University of Wolverhampton is exploring how waste cooking oil can be used as a starter material for new plastics. If you want to further explore some of the new innovation in bioplastics further, take a look at this article. Get ready for biofabricated leather. Modern Meadow secured funding in 2016 to do just that. Their 'Zoa' brand aims to deliver synthetic leather products for clothes, handbags, luggage and much more. The commercial intention is to supply leading brands with a material alternative to slaughtering livestock. Have you ever walked through a spiders web? It's incredible how strong the fibres are in relation to their thickness, isn't it? Harvesting natural spider silk isn't very efficient, but AMSilk were sufficiently inspired to produce super strong 'Biosteel' materials which are already being used in sportswear, garden furniture and the automotive sector. They've been doing this at relative scale since 2014 and announced a new partnership this year with Airbus to produce composite materials for use in lightweight planes. The world's first 'lab grown' burger was first unveiled in 2013. The dream with clean meat is to avoid killing animals for its production and reducing the use of fertilisers used for growing plants to cultivate livestock in the first place. 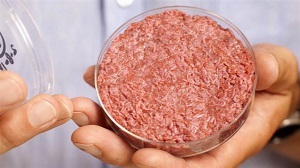 It’s perhaps optimistic, but Josh Tetrick, CEO of JUST meat believes synthetic meat could go on sale in the US and Asia before the end of 2018. While 'clean meat' might be technically possible, will public perception allow for it? Also, the agriculture industry has significant resource invested in traditional livestock rearing. Time will tell whether we see McDonald's offering a 'clean meat' Big Mac on the menu. While Biofuels are an alternative to Hydrocarbons, they're not without their challenges. Bioethanol, produced through fermentation of agricultural feedstock including corn, wheat and sugar cane requires a huge land area for its production. An acre of land yields around 3.2 tonnes of corn, which can be processed into 328 gallons of fuel. In perspective, a small family car might drive 6,500 miles from an acre's worth of corn. It's worth pointing out that petroleum is 50% more efficient by weight and that 280 gallons of fossil fuel is currently required to plant and harvest that acre of corn. In Brazil, the Bioethanol industry also causes deforestation, soil degradation and makes it difficult for small farmers to remain competitive against large companies. A pioneering alternative is Algae-based biofuel. Not only does it require less space than sugar or corn-based biodiesel, but the impact is also significantly lower on the environment. While its production isn't currently commercially viable, major corporations like Exxon are at least committing R&D budget to investigate its future feasibility. What are the risks associated with Synbio? Whether using new genetic parts or splicing existing dangerous or infectious microorganisms, there's a risk that a newly created organism might behave in a completely unpredictable way if accidentally released into the environment. Most synthetic microorganisms only exist in lab conditions. Given their agricultural or medical purpose, they're intended ultimately for use in the open environment. These organisms could affect plants, soil and humans as outlined above, in completely unforeseen ways. One potential misuse of Synbio could be to recreate and release something like the Ebola virus. It's already been demonstrated with Spanish flu. Imagine a 'lone operator scenario' where a rogue synbio expert takes revenge on the world by engineering a deadly virus. Or perhaps an open source community of 'biohackers' accidentally creating a lethal virus and releasing it unknowingly? There's also a regulatory problem. Current legislation just isn't fit for purpose to test, monitor and guarantee safety when releasing synthetic organisms out of the lab and into mainstream society. Get ready for DNA digital data storage. 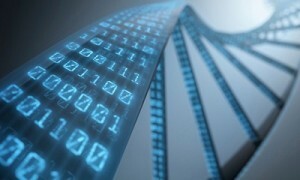 The Semiconductor Research Corporation envisages a world where “in theory, a few kilograms of DNA with proper encoding could meet all of the world’s data storage needs in a form that is chemically stable and with retention capability for centuries, a feat that could not currently be supported by projected silicon-based resources.' Maybe a future exists where information storage is spread across humans rather than power - and resource-intensive server farms? In 2013, China published its first 'Synbio Roadmap'. One notable forecast is the first artificial microbial life by 2033. Perhaps Mary Shelley was a futurist rather than storyteller? Synbio is clearly a new technology paradigm. With proper legislation and careful attention paid during the research phase, the future for renewable and sustainable resources is a bright one. The real risks are unforeseen consequences from releasing completely new microorganisms into the environment. That said, Synbio is a broad discipline. Houses made from Fungi are in a completely different league to genetically engineered viruses. The jury's out, but my natural inclination veers towards optimism. The alternative doesn't bear thinking about.